FutureSummits biedt een unieke kans om toekomstige systemen, roadmaps en de impact van technologie op het bedrijfsleven en op de maatschappij te ervaren en te bespreken. Schrijf in! FutureSummits is imec's brand-new tech experience; a series of international events hosted by imec in different countries and continents. 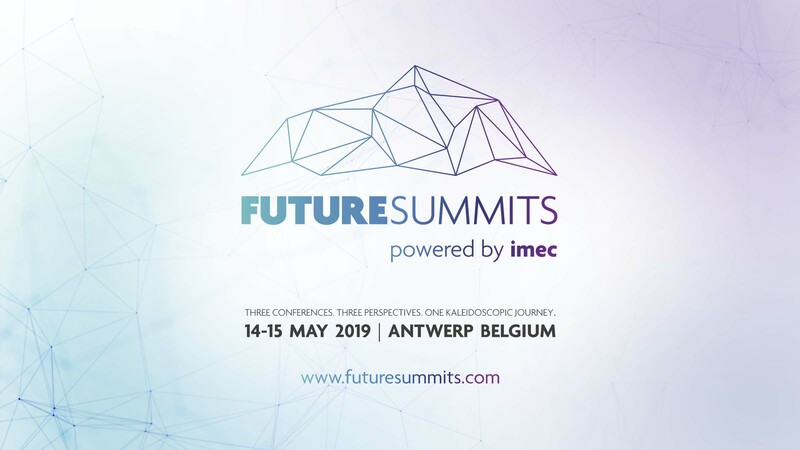 FutureSummits offers a one-off opportunity to experience and discuss the future, future systems, roadmaps, impact of technology on business and society, and collaboration opportunities. Imec Technology Forum Belgium– Groundbreaking innovations powered by nano & digital technology. Forward Dive– Mind-blowing visions on how technology will change the society of tomorrow. AI Flanders– Opportunities & cases to leverage Artificial Intelligence for your business. The vast tech exhibition showcases 55 interactive demos of tech breakthroughs, research advances, applications and solutions for Smart Health, Smart Mobility, Industry 4.0, Smart Cities, VR, Smart Energy and more. "Smart Cities kunnen antwoorden op het protest van de gele hesjes over de onbetaalbaarheid van duurzaamheid"